Spend time here. Tivoli sees visitors from all over the country - and the world. With its close proximity to Bard College, many surrounding attractions and New York City, Tivoli is a favorite location to discover, relax and enjoy. Hotel Tivoli and its accompanying farm-to-table restaurant, The Corner, is a century-old building situated in the center of Tivol's historic village. Owned by the painters Brice and Helen Marden, the property is filled with an eclectic collection of modern furniture, lighting and art - and offers a bustling porch during warmer months for street-side enjoyment. The Barn is available year around for work retreats, weekend escapes, holidays and week long summer vacations. Super cozy and unique, the Barn is here for your country pleasure - and just a short 5-minute walk to the charming Village of Tivoli. Five beds sleep up to 8 guests. Complete with wood burning stove, piano, furnished deck, outdoor shower, pond and Yoga deck - a four acre retreat. The Bird's Nest is a private, two-bedroom apartment located on a quiet country road in Tivoli. Guests enjoy their own private living room, dining area, full kitchen, full bath and deck. Conveniently located just three miles from Bard College and within walking distance to the Village of Tivoli, with outstanding restaurants, art galleries and shops. The Bird's Nest has proudly been in business for over 20 years! Walk into the village or simply relax here and enjoy bird watching at its best. 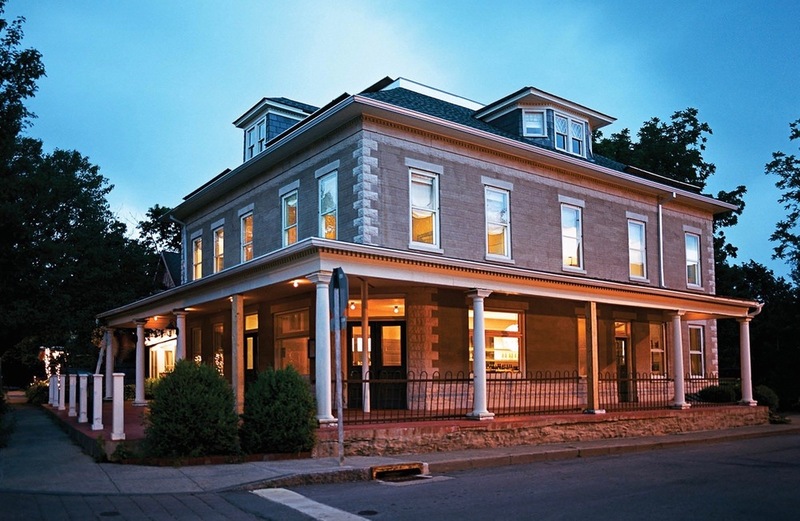 The Suminski Innski is a four-story historic house built in the 1840s, with a wrap-around porch overlooking the beautiful Hudson River and Catskill Mountains. Parquet floors, crystal chandeliers, marble fireplaces, ornate moldings and tons of antiques and art from local and world-known painters and photographers fill the inn. Short 10-minute walk to Tivoli village and its eateries, bars, general store, bakery and more. All rooms are unique and feature a refrigerator, lock, heat / AC, dresser/desk and extra made-up mattress on request. Breakfast is served to all overnight guests. On-site catering is available for parties of up to 50 people. For additional information on local accommodations, visit Air BnB for more.